Is your creative routine like these historic figures? How did Charles Darwin spend his day? What about Beethoven? Balzac? This infographic offers up the details. Some may surprise you. The routines of highly creative individuals has always been something that has fascinated me. No two creative are the same in the ways they find their inspiration. 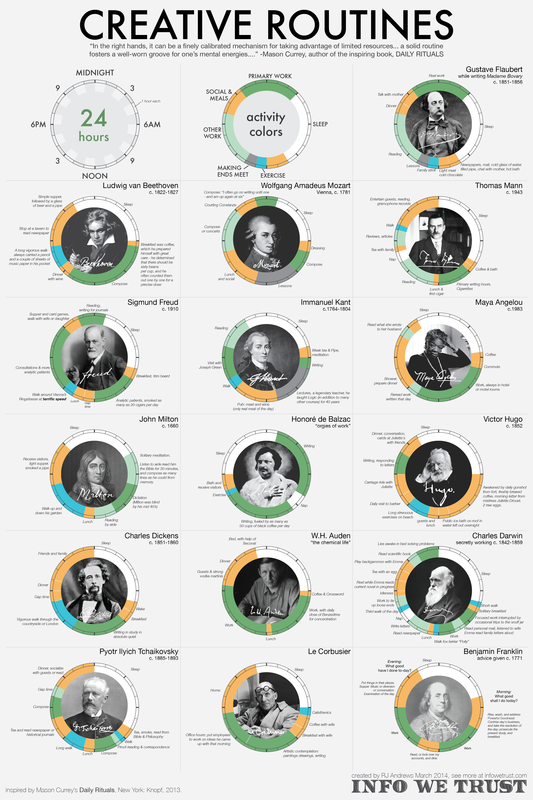 An infographic created by Info We Trust based on Mason Currey‘s book “Daily Rituals” looks at some of history’s most creative people and shows how their days were spent.